Medicine balls have surged in popularity recently. 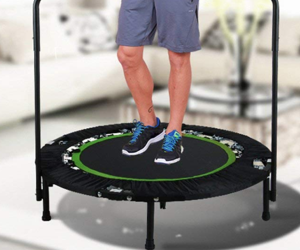 This fitness tool offers a fun way to tone your core and increase your endurance and overall physical health. 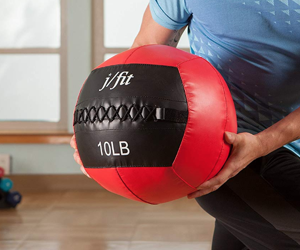 With so many different medicine balls available for purchase, finding the best one for your needs can be a difficult task. We tested the top ten medicine balls and crafted reviews to explain the good and bad of each ball. We have also included a helpful shopping guide to demystify the process. Let’s get started! When most people think of gym equipment, they conjure up something heavy and made of iron — dumbbells, barbells, treadmills and so on. But though they may not immediately jump to mind for as many people, battle ropes can also help you get into phenomenal shape, despite being lighter and in many ways simpler than those more traditional pieces of gym hardware. Depending on the workout routine you choose to adopt with them, battle ropes can help you pack on muscle mass — shredding your arms, shoulders, back, chest, core and even legs — or can serve and integral role in an intense cardio workout. If you’re serious about getting into or staying in shape, therefore, battle ropes are must-have items meant to enable you to push your workouts to the next level. To help you make the right selection as you shop around, we’ve compiled a list of 10 fantastic battle ropes along with some information about each one. 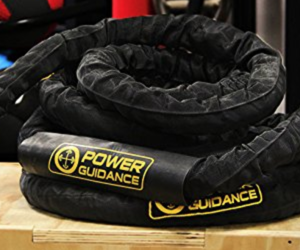 Furthermore, we’ve got a buyer’s guide section designed to help you find your bearings and make you into a smarter shopper who knows what to look out for while on the hunt for battle ropes. With that, let’s get to business.